Freshness, calm and heritage through the light. 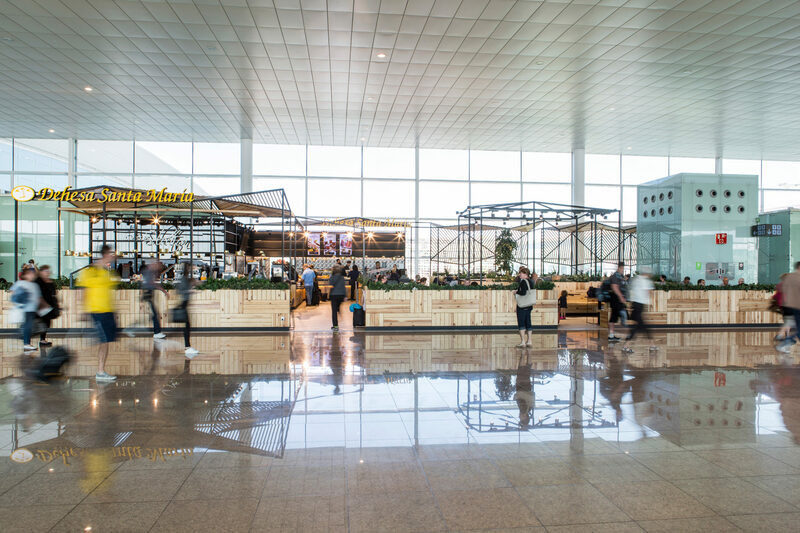 Dehesa Santa María, part of EatOut restaurants group, commissioned deardesign to create the interior design concept for its new restaurant at the terminal T1 of Barcelona Aiport. 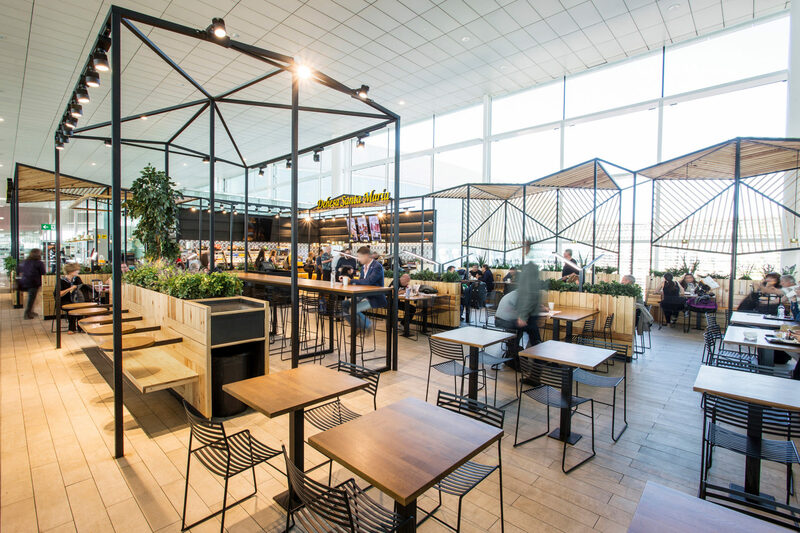 The objectives for this project were clear: to create a space especially designed for the boarding area, where passengers can spend quality time connecting long-haul flights. The surface was broadened and as it grew, it was essential to reorganise the space with fluid and intuitive paths. 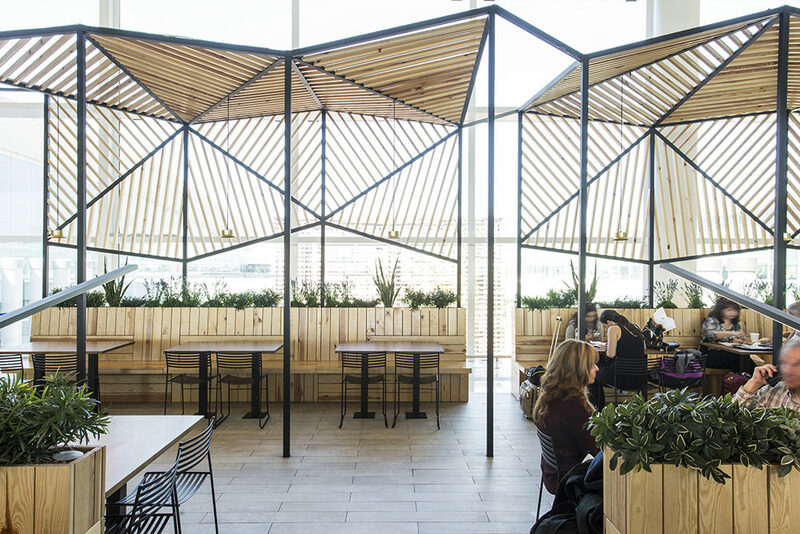 As the restaurant is located next to the glass façade, it was necessary to create an element which provided shade and played with the sunlight. 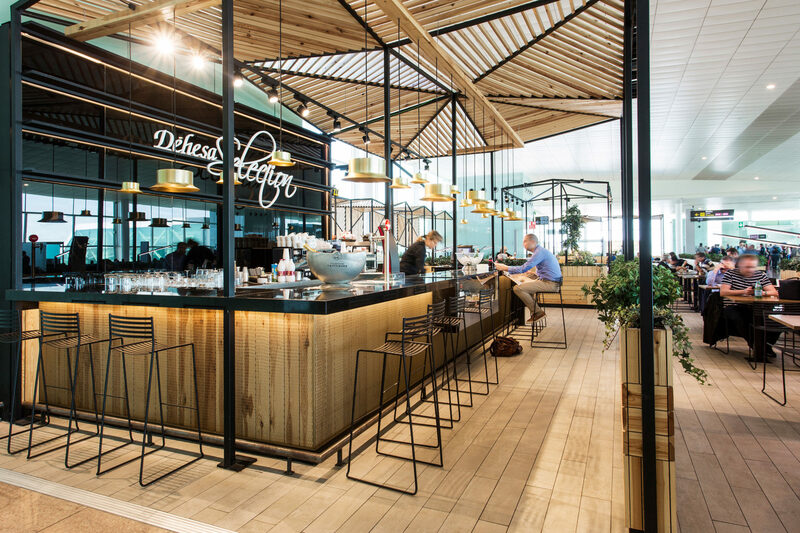 We started with the intention of creating an iconic space that invites the visitor to approach. The restaurant has a new, fresh and different image, whilst keeping the Iberian feeling of “traditional” cuisine. The first idea was to “recreate” the feeling of being in a pasture; through a play of light and shadows generated by a space which envelopes the visitor. 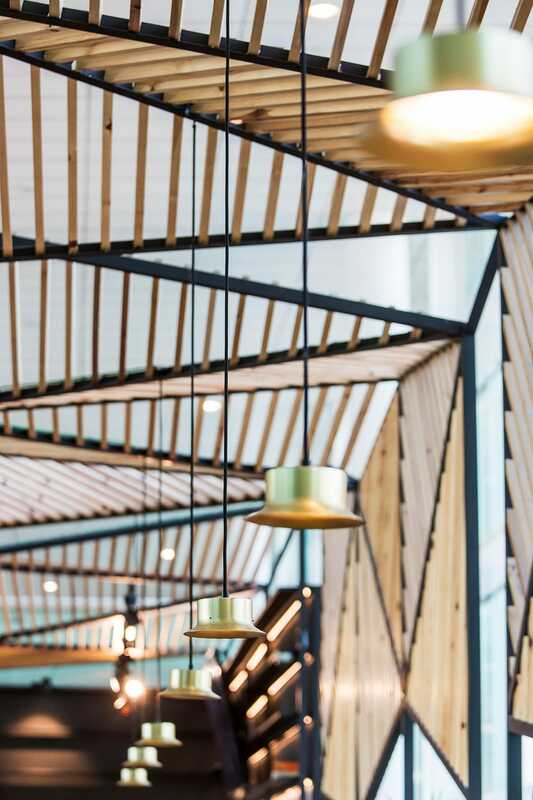 The abstraction of this idea is finally embodied in a structural skin of wooden slats, which defines the space and gives it a cozy feeling as well. Covers and vertical dividers are made up of polygons of various shapes and sizes. 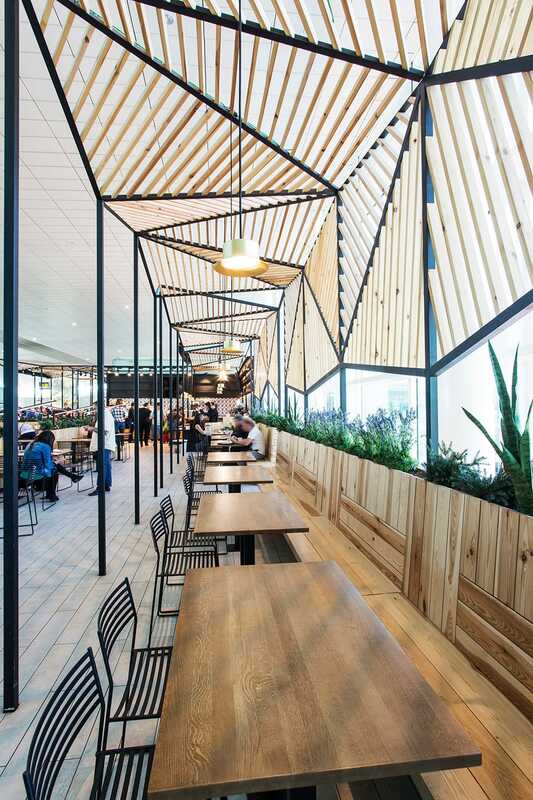 The results is a dynamic and fluid space, escaping from the image of a typical pergola. 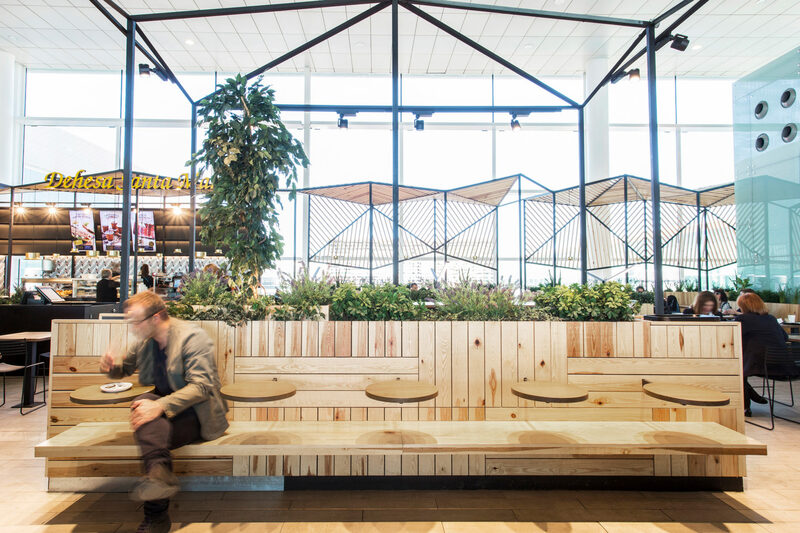 The furniture, chosen to transmit the feeling of a courtyard appears integrated within the whole, creating different zones: bar, bench, individual and shared tables, low and high tables; and provides dynamism to the project. 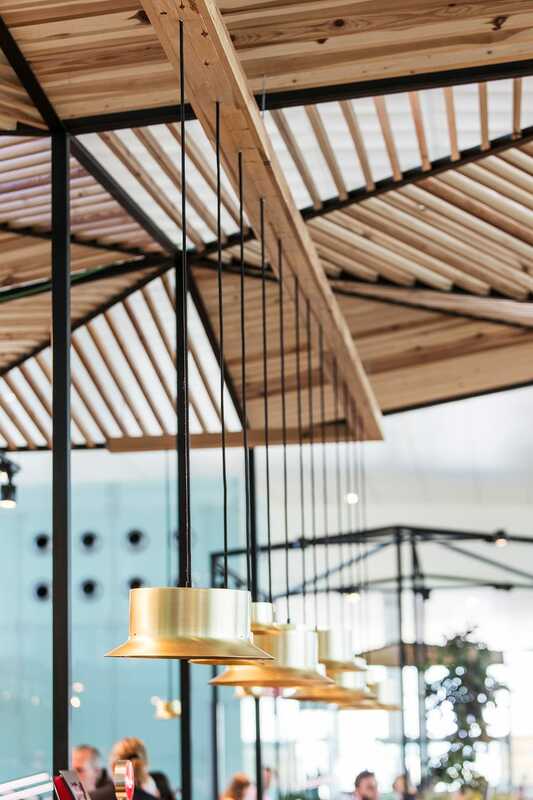 The lighting is suspended above the tables and bar; adjustable spotlights and lighting integrated into the structures play a key role in creating small-scale areas. 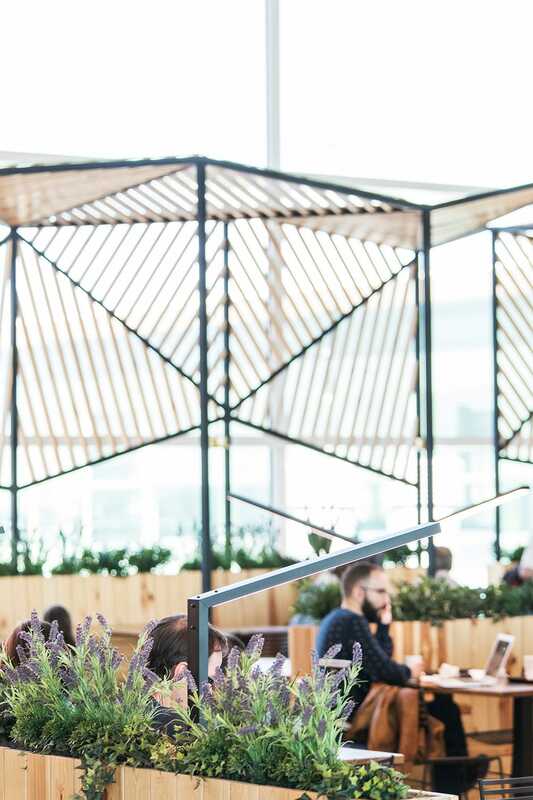 Potted plants of different heights demarcate the areas, and act as a support for brand signage elements as well.